I love this santaclaus@gmail.com snapshot. 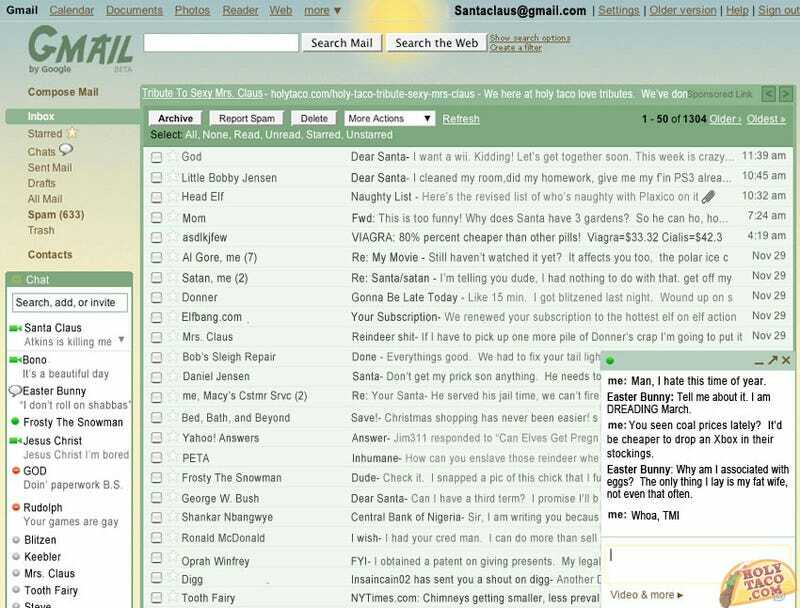 Bono, Jesuschrist, Rudolph, and Steve in his contacts; him chatting about how he'll give Xboxes to bad boys instead of coal because of the energy crisis; God wanting a Wii... His inbox is just hilarious. • Apple Introduces iPhone 3G Videoconferencing Kit, ZOMG!